If all you’re looking for is a simple dimmable smart bulb that doesn’t change colors or do any fancy tricks, Insteon’s bulbs are a cost-effective option, but they’re not quite as simple to use as other products. When you’re lazy enough to not even be bothered to get up to hit the switch in order to turn your lights off or on, that’s when you know first world problems have hit you square in the face. But what if we tell you that by indulging in such luxury, your lifestyle choices are actually benefiting your wallet and the world? The INSTEON LED lightbulb, coined as the world’s first app-controlled lighting, can provide you both electrical savings and lower carbon footprint. Here’s our hands-on review of this latest gear in home technology. In your INSTEON box is one bulb with a separate box the remote control. You install the product just like any other bulb without needing to preset anything on the computer. The INSTEON bulb is definitely heavier than your average lightbulb given that it’s got some sort of remote sensor and dual band wireless technology built in. The glass feels heavy duty as well as the plastic casing on the outside. The remote control, in contrast, is tiny and lightweight. The plastic also feels a bit cheaper than the one on the bulb itself. Some may find the small remote control convenient while others may prefer the usual bulkiness so they don’t misplace the item. 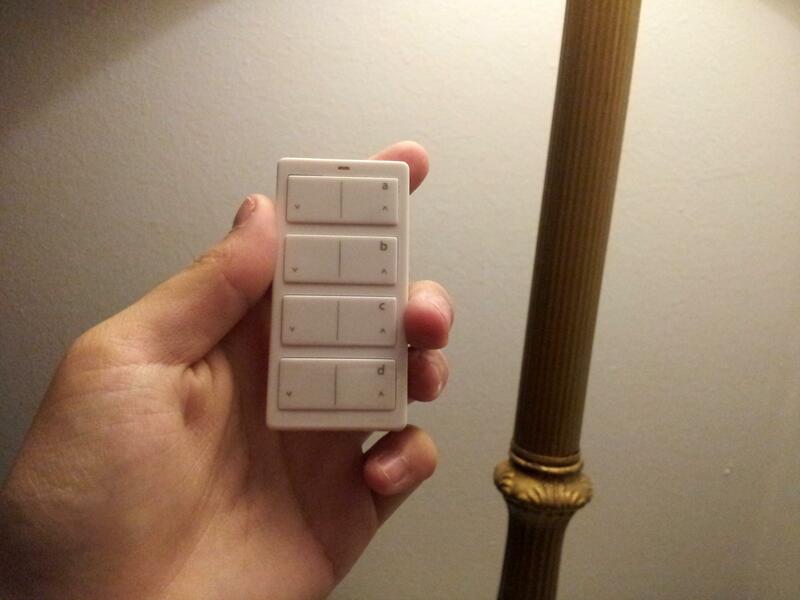 The remote control has four rows of buttons to program different INSTEON bulbs around the house. The one we received was pre-programmed to recognize the remote from up to 50 meters, or 164 feet away from the bulb. Functionality is as simple as left and right controls. Press the left button to turn the light off and the right to power on — it’s even got red and green light flashes in case you forget which side does what. Holding left also lets you dim the light while the opposite action brightens. Unlike regular dimmer lights that allows you to change its brightness based on where on the sliding switch you place the knob, the INSTEON dims in pulses. You get about five to six levels of brightness before the bulb is completely maxed out or turns completely off. From my personal experience, the INSTEON bulb isn’t necessarily brighter than the bulb I already use, it just has a whiter glow which gives the illusion of it being brighter. This will depend on your personal lighting preference, but I like and have come accustomed to my peachy lighting from my Philips 65W bulb, so getting used to the yellow-ish glare from the INSTEON took getting used to. I change my bulb about one or twice a year based on regular usage, so with the INSTEON eating up 8W per use, it will likely last me a long while. It’s good to note that for 8W versus my regular 65W, the INSTEON is pretty darn competitive for those specs. If little remote controls aren’t your thing, you can also purchase an additional SmartLinc Hub to allow networked capabilities. This means you can sync the INSTEON to your tablet, smartphone, or computer and control the light from there. Both iOS and Android users can download the free app, then create a username and password to help control your light settings. The INSTEON becomes a much more useful tool once you have it synced to your Internet-capable devices because then you can program the bulbs in your house based on locations, and schedule them to come on or off at a certain time of day. The ability to control based on touch, much like sliding switches, also feels more natural. You can also set the brightness according to percentage if you want exact precision. Unfortunately, the SmartLinc Hub isn’t wireless. You will need an ethernet cable to connect the hub to the Web before allowing the network to fully reach all your INSTEON lightbulbs. Another great feature about the INSTEON is its ability to connect with a ton of other gadgets to help automate your home. If your home uses a keypad security system, you can set the lights to come on once you’ve unlocked your front door. If not, you can also install a door sensor or any other type of motion sensor device to recognize when a person walks by the turn the light on. The concept is similar to security lights you have in your backyard or front door, but in an indoor level. Like everything else we’ve said thus far in this review, the short answer is: It depends. For a homeowner looking to automate their lighting system and control how much they want to spend on electricity bills, the INSTEON would be a fun option to let you control your lights from virtually anywhere. Is it a bit of an investment before you get to do so? Yes. However, if you have a large space you want control over, the investment could save you tons in bills in the long run — and it’s good to have control over your home system from anywhere in case you go away for vacation, work, or just need a second eye over electricity usage ran by your kids or the like. For short term rental apartments, like mine for example, the INSTEON might be a little too much work and investment at $30 a bulb — not including the wireless hub to provide app control. 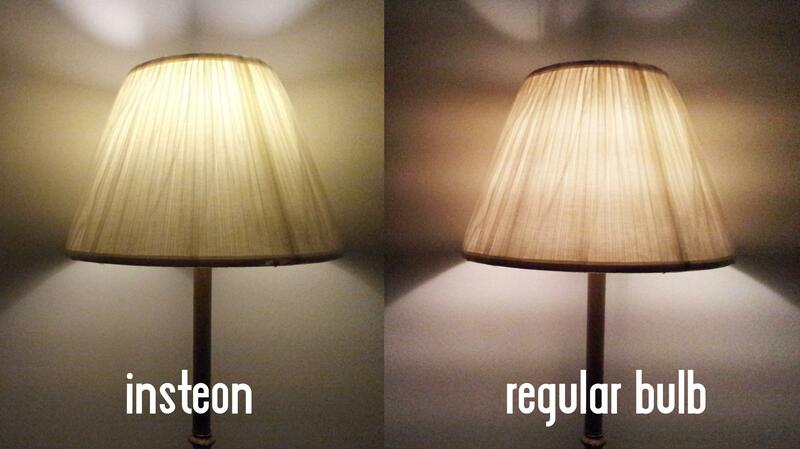 In my case, the price of one INSTEON bulb can get me six of the brighter stuff. But if you’ve got the money and want the cool gadgets to show off to your party guests at the next get-together, by all means invest. You can purchase an INSTEON bulb at $30 apiece, and the SmartLinc Hub separately for $100 along with your free iOS or Android app. Originally written by Natt Garun.